USB MIDI Velocity-Sensitive Percussion Pad. My name is Diego Leroux, I am an drummer-designer who lives in Buenos Aires, Argentina. I’ve designed and created this new instrument all by myself. Family and friends supported me all the way through. Hope you like it. 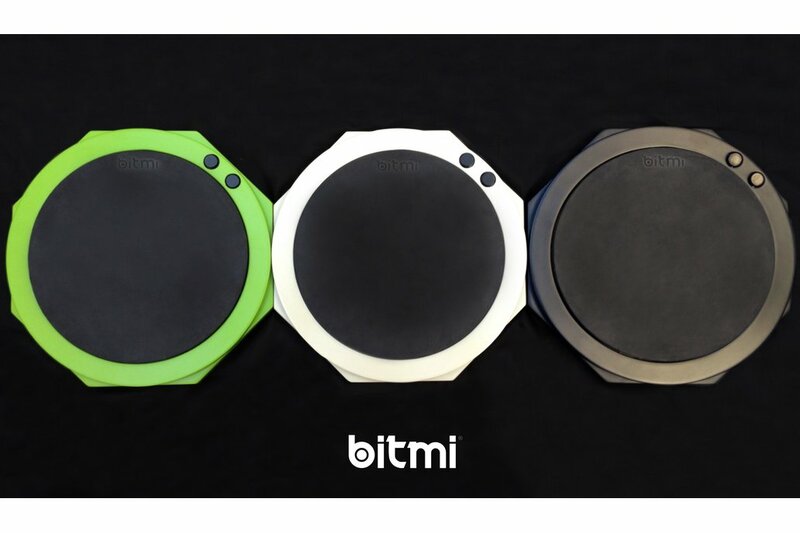 Bitmi is an electronic drum pad and a MIDI interface all in one unit. It’s a unique and cool instrument that you can put to work in many ways. For instance, maybe you're a drummer who wants to add electronic sounds to an acoustic kit. Bitmi is perfect for the job. Perhaps you are a hand percussionist in need of a way to trigger digital samples. This percussion pad will do the trick. You could be a DJ/Producer who wants to record realistic MIDI drums into your DAW, or you could be a student who's just bored of playing on a practice pad. In any event, I’m sure you'll love Bitmi. If you are planning to start e-drumming, Bitmi is the easiest and cheapest way. No tweaks, no menus, not even a user manual to read ! Just plug it in your computer or any iOS device (Apple Camera Connection Kit required), load your VSTi of choice or preferred mobile app and that’s it. The body is made of CNC-machined wood and then lacquered to achieve a beautiful and durable finish, the pad special rubber was designed in order to be as quiet as possible and also to have a great feel and rebound to be played for hours without stress. 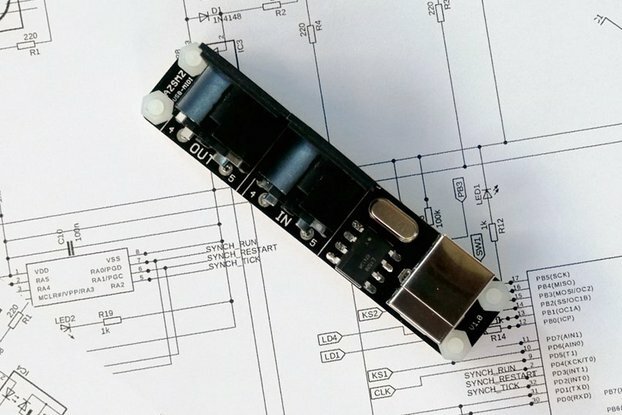 Every pad is hand-assembled and tested before shipping. Various units can be combined using an USB Hub or the available USB ports on your computer. 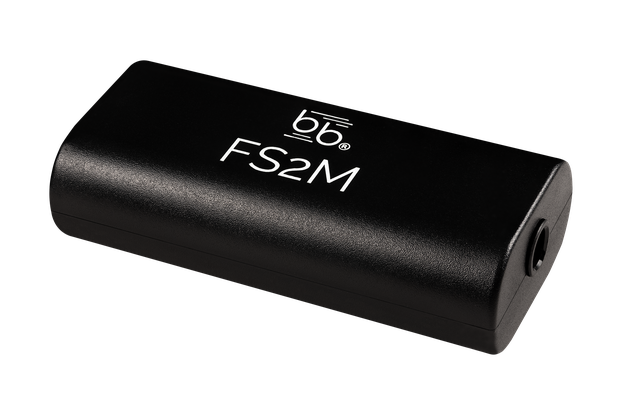 A USB-powered hub is recommended in case you connect several units to an iOS device. Use the +/- buttons to change the MIDI note number (default is #38 or D) this is the snare drum default MIDI note on most drum VSTi software like Addictive Drums, EZDrummer, etc. Whether you play with your hands or sticks, you can adjust the sensibility with a gain control hidden in the back of the unit. Snare buzz, rolls, flams, drags, you name it. Dynamics are all covered from the softest to the loudest hit. Believe me, you must feel it and you will fall in love with it. Please check out the video link below. Included Accessories: Deluxe Waterproof Padded Bag, 6 ft. USB cable, locking nut. Designed and made in Buenos Aires, Argentina.